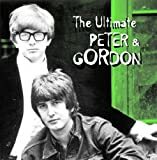 Peter and Gordon's, "I Don't Want To See You Again"
Why do I cry at night, something wrong could be right. I hear you say to me, I don't want to see you again. Written by Lennon and McCartney and having an oboe solo, this song is about someone being dumped and wondering why his love doesn't want to see him.